We can supply bespoke polythene carrier bags with rop handles. These are very popular among the younger female generation as the handle can easily be shoulder length and the overall usage of the bag is similar to a material shoulder bag. The bag design is a side and base gusseted carrier bag, which opens out in a similar way to the rope handled luxury paper bags. The bags need to have a card reinforcement at the top and metal eyelets, as the rope needs a strong support to attach to. The handle can be either a rope, as shown here (PP rope, 5mm diameter), cotton or ribbon. printed CMYK, both sides, 30% ink. 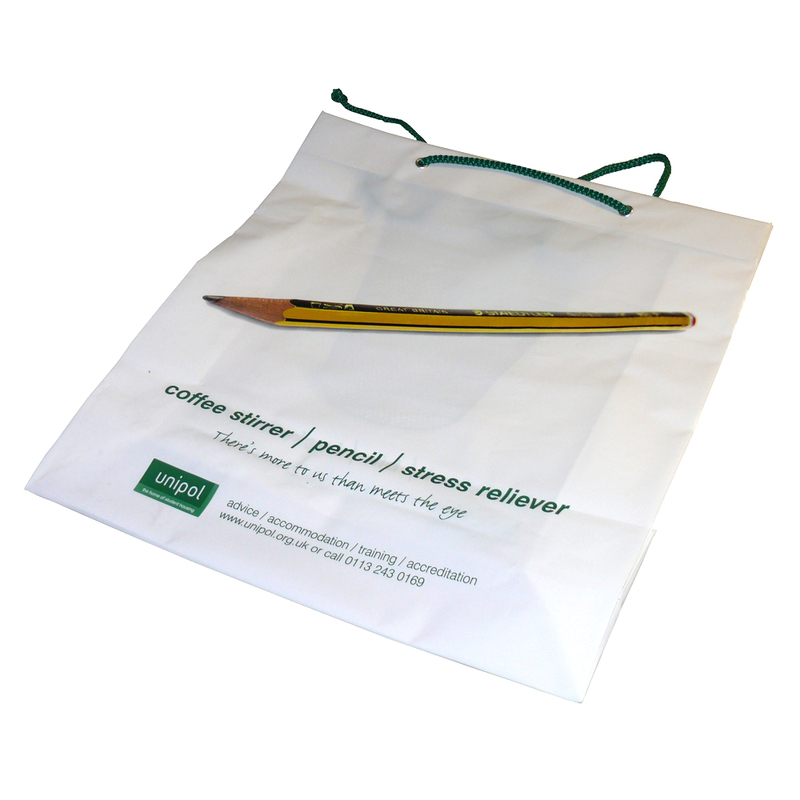 We offer a design service for printed rope handled polythene carrier bags. Beckdales office team are happy to help shops choose the right rope handled polythene carrier bags. For choose by material or different styles of , get in touch with our offices using the above details.